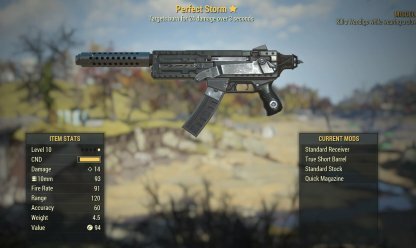 Find out where you can find the Fallout 76 unique weapon - Perfect Storm! Included here is its location, traits, and how to get it. Check Out Legendary Weapons & Armors Here! 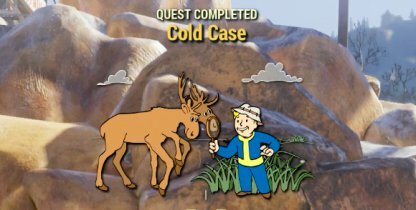 The Perfect Storm is the final reward for the Cold Case Side Quest. The quest is a fairly easy fetch quest with only Super Mutants posing as a real challenge for the player to beat. 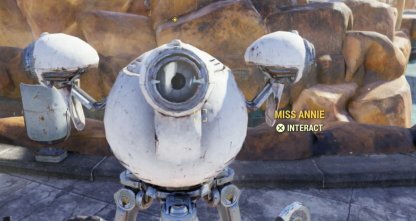 Miss Annie is a Mr. Handy that can be found near the Crocodile ride inside Willie Willard's Water Park. Talking to her will immediately activate the Cold Case Sidequest. You can find Willie Willard's Water Park easily in the map thanks to the giant cartoon crocodile slide! 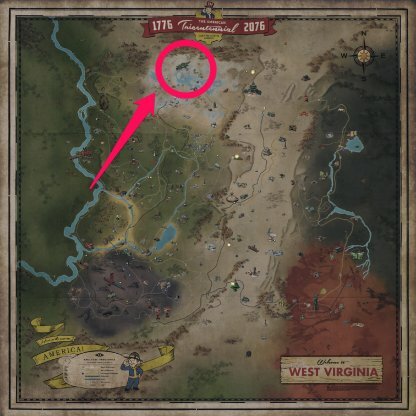 It's further north of Vault 76 and is fairly close to Clarksburg. What makes the Perfect Storm different from other 10mm submachine guns is its ability to set targets on fire! Enemies shot by the perfect storm will take 24 damage over 3 seconds. With its high fire rate and unique weapon trait, the Perfect Storm is a really good weapon to have in the early parts of the game. The damage over time is especially helpful since it does damage at no additional bullet costs.